It’s December. So I shouldn’t really be too shocked that it’s freezing cold and dreary outside. But every year about this time, I find the cold jarring. Fuzzy slippers and hearty soups are all that are keeping me from hopping a flight to Florida. In a few weeks, I’ll settle in and remember that I enjoy crackling fireplaces and hot bubble baths, and pristine snow falls, and steaming cups of cocoa. But for now, it’s all about soup. A big bowl of soup, a piece of crusty bread, and maybe a simple green salad, and I’m about as happy as I can be in early December. This creamy mushroom soup is actually more mushroom than cream. Even so, the texture is still lovely and rich from the pureed mushrooms and the small amount of reduced fat cream cheese. I happen to like the meatiness of mushroom bits in my soup, but if you prefer, you can fully puree all of the soup. I’ve made this soup with a variety of mushrooms, and it all works. This time I went for a combination of shiitake, crimini and regular old white button mushrooms. Use what you like, though, or what you can find at the store. I’ve never tried using reconstituted dried mushrooms, but I imagine they might add another level of flavor and texture, so that could be worth a try. I use beef stock, because I think the flavor combination of mushrooms and beef is lovely. You can certainly use vegetable stock – or better yet mushroom stock – for a vegetarian soup. Healthy Crispy Chicken Tenders – Really! Until I met Jeff, I probably hadn’t eaten chicken tenders since middle school. Between burgeoning food snobbery, a period of vegetarianism, and an increasing awareness of the evils of all things fried, I spent my teen and young adult years choosing salads and ceviche instead of grilled cheese and corn dogs. But Jeff adores kid food and has no qualms about ordering off the children’s menu. And let’s be honest… who doesn’t love grilled cheese? And corn dogs? And especially crispy chicken tenders. I can devour a mountain of deep-fried crunchy, juice strips of chicken, especially with a side of creamy ranch dip. Of course, I don’t usually allow myself to eat a mountain of them… generally just a bite or two stolen from Jeff’s plate. 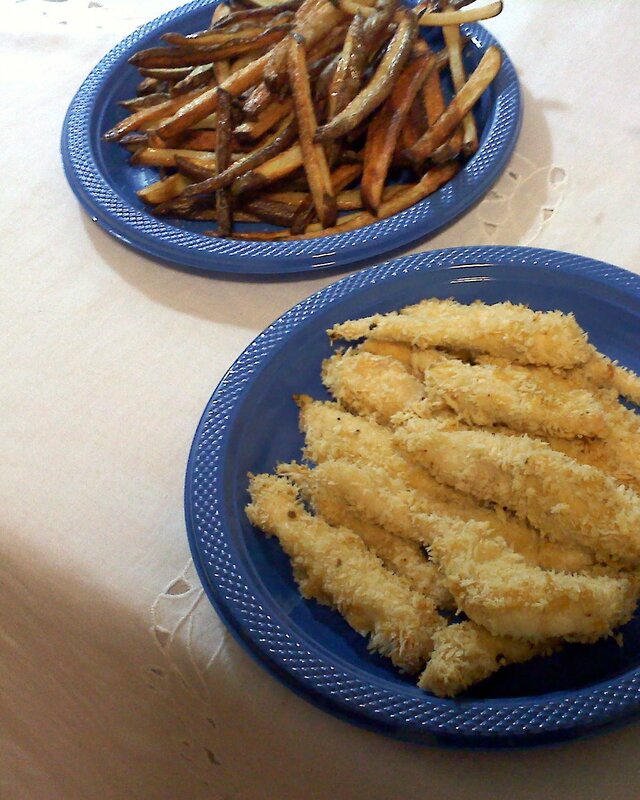 I’d tried before to faux-fry chicken tenders in the oven, but never had much success. Jeff and I were looking for that crisp crunch on all sides, and juicy, flavorful chicken. But my breaded and baked failures were soggy on the bottom, and when cooked until crisp on top, inevitably dried out. They lacked juicy flavor and were a poor stand in for deep-fried goodness. But when I saw this post on Kristy Rimkus’ wonderful healthy recipe site a while back, a little ray of faux-fried chicken tender hope entered my kitchen! I’ve tweaked Kristy’s recipe, but the key point is cooking the chicken on a cooling rack, letting the air circulate and crisp up all sides on the tenders. Arranging the tenders on a greased cooling rack over a baking sheet results in much crispier chicken. So does using panko instead of regular breadcrumbs. 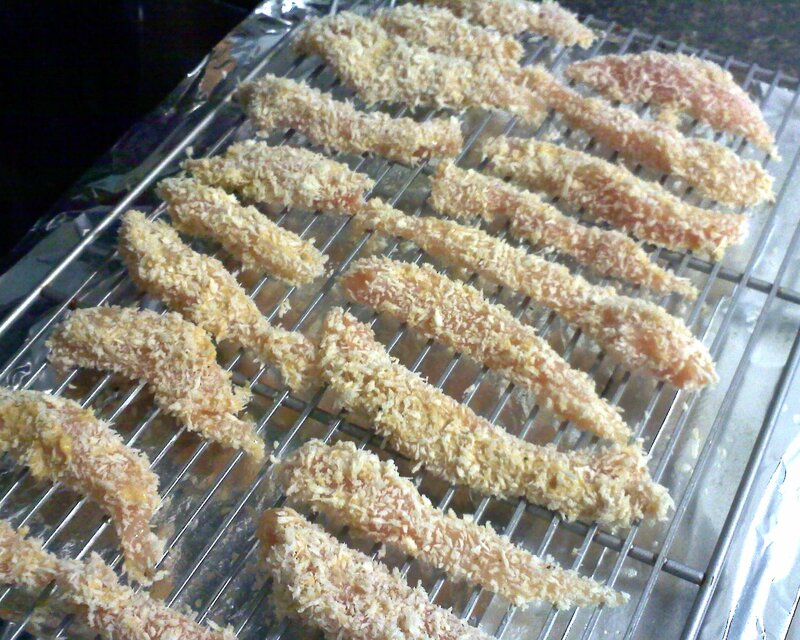 There is no need to cook the tenders until the panko browns completely, just a tinge of gold will do. They will be crisp without overcooking, and the chicken will remain nice and juicy! The trick is to slice the chicken into one-inch strips, so that they cook quickly and evenly. And, for maximum flavor, I like to dip the chicken in honey mustard instead of an egg wash. As an added bonus, swapping mustard for egg cuts calories too. Serve these up with some oven fries and a side of reduced-fat ranch dressing and you’ll be in faux-fried heaven! Preheat the oven to 425 degrees. 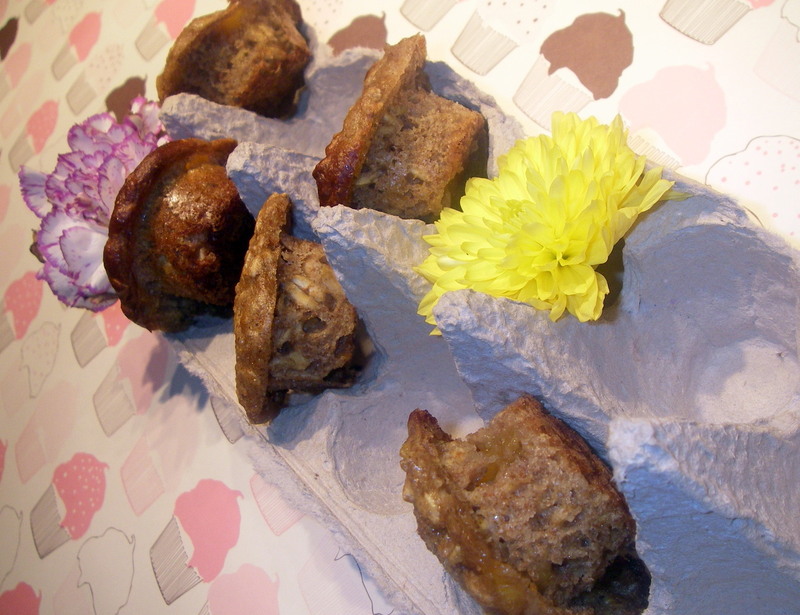 Arrange a greased cooling rack over a baking tray. Slice the chicken into one-inch strips. Spread the honey mustard in a shallow dish. In another dish, mix the panko, salt, pepper, and garlic powder. Dip the chicken pieces in mustard, wiping of the excess, and then dredge in panko. Arrange the chicken on the cooling rack. Spray with cooking spray. Bake 20-25 minutes until crisp and cooked through. Labor Day is behind us, which means no more white pants, but lots more pumpkin goodness. I love this time of year. Sweet corn and heirloom tomatoes are still abundant, but the homey scents of winter squash and cinnamon fill the kitchen. And let’s be honest, white pants are totally still in the wardrobe! But so are lightweight sweaters and corduroy pants. I’m not quite ready to dive into a from-scratch pumpkin pie, but breakfast is a great way to ease into the season. Pumpkin also happens to be super healthy, although most pumpkin-laced treats are filled with enough lovely butter and sugar to mask all those vitamins and fiber. But this not-too-sweet breakfast is decadent and beautiful despite the lack of butter. And the best part is that is takes just five minutes – yes, five minutes! Which means that even weekday breakfasts can be exciting, healthy, and pumpkin-filled. In a small bowl, combine half of the yogurt with the pumpkin, cinnamon, allspice and honey. 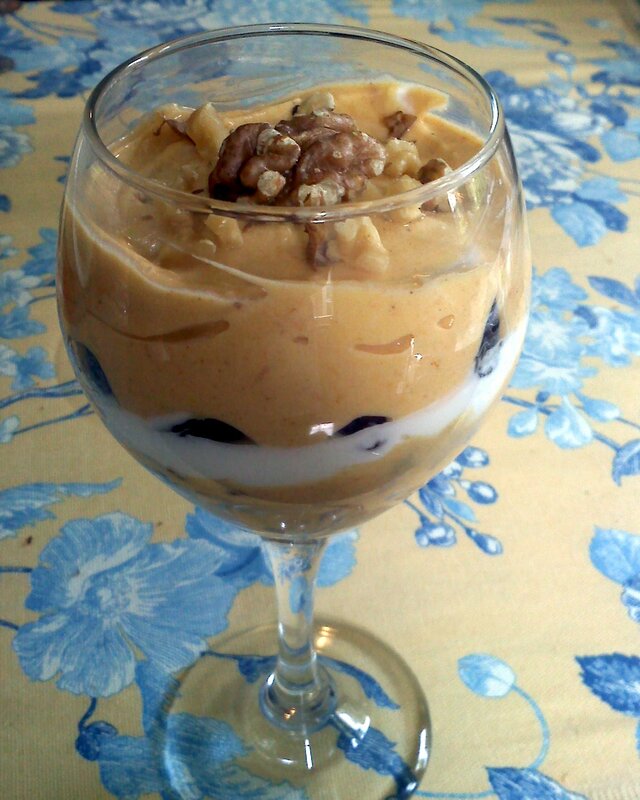 Spoon a dollop of pumpkin yogurt into each of two glasses. Top with a sprinkle of walnuts and dried cranberries. Top with the plain yogurt, then the remaining walnuts and cranberries, and the remaining pumpkin yogurt. Garnish with additional walnuts if desired. Our favorite Sunday brunch spot closed when I was 14 or 15. Those were the days before my brother appreciated good eats. He always just ordered hash browns. But Mom and I had discovered a gem; The Cajun Benedict. A cheesy flatbread pita topped with crisp fried green tomatoes, spicy andouille sausage, poached eggs, and Hollandaise sauce. Seriously, truly amazing – and more than enough to share. Even split, it was probably enough calories for a week. The year the place closed was the first Mother’s Day that Evan and I made Cajun Benedict. Our fried green tomatoes were a bit soggy and our attempt at poached eggs a bit overcooked, but Mom didn’t care. She was thrilled. We even made hash browns, although we had finally convinced Evan that eggs were, in fact, edible. And it became our tradition; every year we make Cajun Benedict for Mother’s Day (and then don’t eat for the next week). But this year, when we finally get to celebrate Mothers Day (next week, but better late than never, right?) I’m not sure that Cajun Benedict is in the cards. You see, I’m so, so very proud of my mom. She has lost 20 pounds this year. And would it really be fair for me to whip up the heart-attack on a plate that we usually devour? The temptation to eat the whole thing would be intense. I suppose that we could try to ‘healthify’ our Cajun Benedict, but honestly, some things are sacred. I don’t believe in healthy croissants and I don’t believe in healthy Cajun Benedict. So, instead, I think we’ll go for these lovely muffins. My Mom adores anything involving peaches. 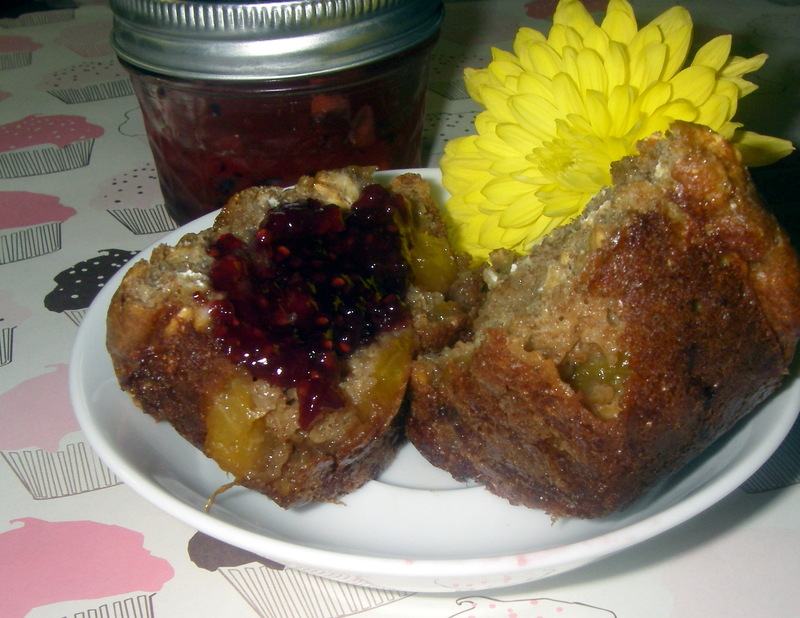 With plenty of homemade jam (Moms love jam), whipped cream cheese, and a big fruit salad, our Peach Oat Muffins will be a wonderful Mother’s Day breakfast. Maybe we’ll even go for some turkey sausage too. 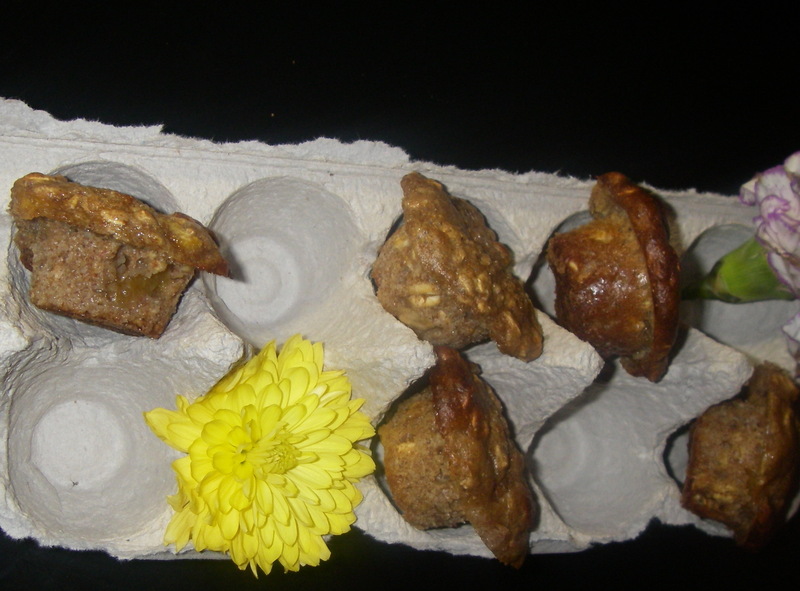 These muffins are best eaten fully cooled as the peach bits make them a bit too delicate when they are warm. 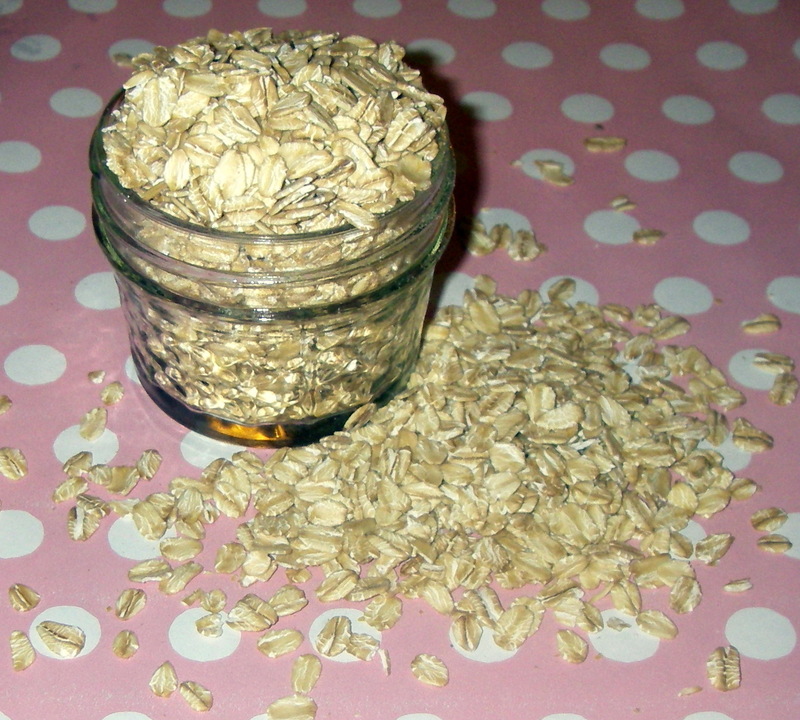 I used old-fashioned oats, but I do think that quick-cook oats would work just fine. Preheat the oven to 400 degrees. Stir together the oats, yogurt, milk, sugar, applesauce, and eggs until very well combined. Sift together the flours, baking powder, baking soda, salt, and cinnamon. Stir the flour mixture into the oat mixture to combine. Fold in the peaches. 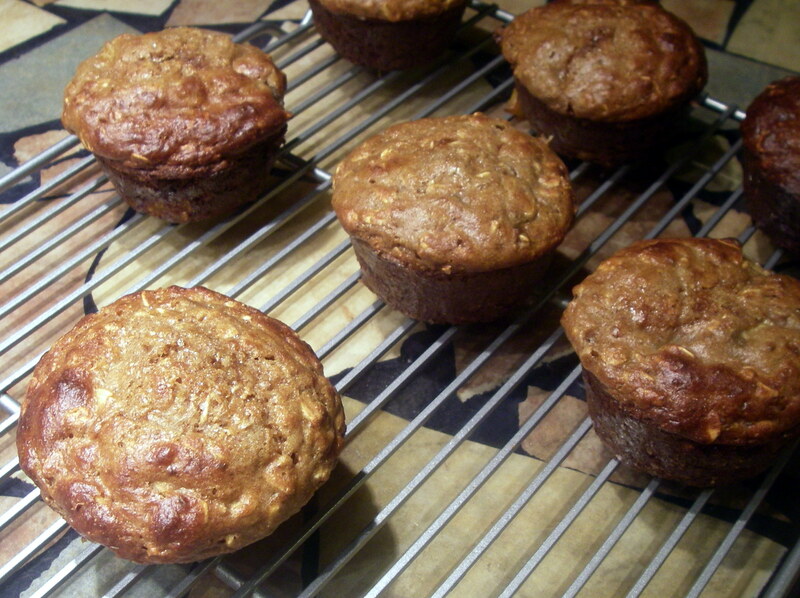 Spoon into a greased muffin tin and sprinkle tops with turbinado sugar. Bake about 20 minutes, until brown (if you choose to make mini muffins, reduce baking time).